7 vendors have this plant for sale.79 members have or want this plant for trade. Use as a Decoy/Trap plant! They are not only beautiful (some would say, "interesting"), they can help keep away the dastardly cucumber beetle who seem to prefer it to cukes. There is some research in addition to home gardener's observations for this hard working companion plant. e.g. the leaves on mine were skeletonized and covered with cuke beetles, but just kept on growing their long red ropes to direct seed next year's decoys here in central west new jersey. 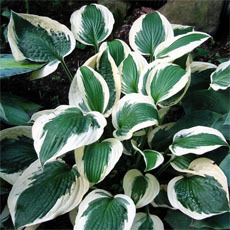 When I moved into my new home in Tonawanda, NY last april there was a long cultivated garden strip adjacent the driveway which contained only one emerging hosta. As I awaited the last frost I was planning what to plant in that space. Then I noticed a large number of emerging seedlings, all of the same species, so I left them to see what emerged. In the meantime I planted some castor bean seedlings that I had started in late January. The unknown seedlings began to look promising and I had to pull some of them to give the castors a chance to develop. The bed is now a riot of amaranthus caudatus and I couldn't be happier. See attachment photo. We are in zone 6B so they shouldn't have survived the winter but there they are! I like to experiment indoors, most plants i try have never been grown indoors or are rarely grown indoors. i knew that this one could be grown indoors so i tried it...it germinates and grown well in a indoor enviroment BUT this plant is such a insect magnet - it does good for a while but it needs daily care - you have to mist it a few times every day and you have to clean the leaves with a cloth. if you don't look after this plant for a day or maybe 2 expect mites...it reminds me of indoor brugmansia the times when i involuntary gained 100000 room mates. it's really a pretty plant and very attractive, maybe one of the most attractive indoor plants but it needs too much care in order to keep it pest free. Grew these from seed last year. Tried to start them in the house in peat pots on the window sill with no luck. Moved them to a raised bed outdoors when the weather warmed and that worked. Very unusual plant that attracts a lot of attention and comments. Trying them again this year from last years seeds. I came across this a couple of years ago and thought it would remain small in a container planter...my mistake but such a wonderful mistake. It self seeds wonderfully and is very robust in our 2-3 climate zone. It makes a very dramatic statement when planted with my sunflowers...red and gold everywhere. Very easy to control or transplant where you what them. Needed some support in a new bed as the root system didn't go deep enough to support all those tassels. I love this plant, but, yes--sadly, so do the deer! These can get huge. The seeds like sunlight to germinate. While scattering in my yard I inadvertently got some in my ash bucket for my grill. They germinated in the ash after a rain storm. The seedlings easily pulled from the fine ash and I distributed them. More germinated in the ashes than those sprinkled in the garden... Go figure.. I love the unusual appearance of love-lies-bleeding and since discovering it I now include it in the back border of my main flower and herb bed every year. Amaranth self sows readily in my subtropical New Orleans garden; I wouldn't call it invasive, but I do spend a bit of time plucking amaranth sprouts from the areas of my garden I intend to use for other flowers/herbs. This plant does very well with hardly any attention from me, even in dryer-than-usual conditions, and thrives until the first frost. It easily reaches heights of 8 - 10 feet in my garden, which is significantly taller than the advertised maximum height of 4 - 5 feet. 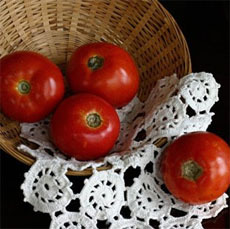 The foliage of my plants is typically ox-blood red, rather than the green depicted on the original seed packet and which I see i... read moren most photographs online. I started from seed in 3 different areas of a garden; clay soil in zone 4. 1 area survived. However, it not only survived, it thrived growing to 3 x3'. With its long fuchsia tassels, It is a beautiful specimen. I will try it again next year. I have this plant which was sown directly from a late fall transplant. It is about 6 or 7 feet tall and has pendulus flowers are at least two feet long. 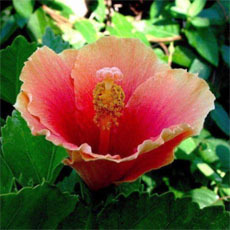 A smaller form of this plant was known in England by 1596 and was in use in American gardens by the late 1700's, according to Plants of Colonial Williamsburg, by Joan Parry Dutton. At the time I planted it I had no idea how it was propagated,so I'll try to do it right this time...any bets? I have grown different types of flowering amaranth for the last 20+ years. I've grown it in NE, MO and NC and it thrives! It never disappoints! I find it surprising that some people are saying they have trouble growing it! I just scatter the seeds and stand back! No maintenance. They reseed and I just pull the ones that are not where I want them. The plants have cross-pollinated over the years, but they are always big and very red! I don't even mind that they are everywhere in my veggie and flower gardens. They are easy to get rid of, so they are not a pest at all. I adore this plant----------but have only been able to get it to grow for me in Zone 7b (Starkville, MS) one summer out of 15 years of trying. I have been told that they are not happy with our humidity. 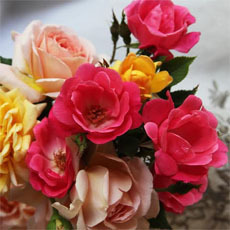 I have tried sowing it in the soil----and seeds in pots. Anyone got any suggestions? I'd not heard of Amaranthus until receiving a packet of seeds last spring as part a gift basket and they have quickly become a favorite. I planted some in the ground and some in a hanging pot. Those in ground certainly did become a conversation piece! The potted plant came inside and wintered over quite nicely (no blooms, just foliage). It is now hanging back outside ... three times the size. Newly planted seeds are just beginning to sprout. Sunny spot is a must in the Rhode Island area. Very tropical and unusual looking plant/flowers. I love this flower! The first time I saw it was at the Chicago Botanical Gardens. I tracked an employee down to ask what it was called. Next was during a vacation to Mass. and a botanical gardens. I knew I just had to try this flower in my garden, so I did, and was not disappointed. I did direct sow in the garden, since the seed packet states it does not recommend sowing indoors. However, this year I plan on trying to sow some seeds indoor and some direct seed in garden to see how each fairs. Yes, this plant does need some method of support once the flower heads begin to form and hang. But please do not let this deter you from growing such a beautiful plant. It's not the only plant out there that requires staking/support. I tried growing this as an annual last summer. 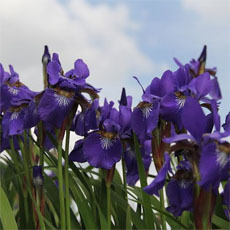 It produced lots of flower tassels, but the plant's stems were so weak that they bent under the weight of the flowers. Most of them ended up dragging on the ground. I harvested some of the flowers for a winter arrangement and they were very attractive. Wonderfully plant! I started with purchased seed and sowed in spring, now they reseed themselves readily in my zone 5 landscape~~ falling to just beneath the parent plant. I move the young seedlings at will, to where ever my hearts content....including friends and nabors. The deer will munch on them but this only causes them to become bushier and not as tall. This year I have included the green tassel variety. Always had a a thing for this plant since the first time i saw it . This is my first year to give it a try. I got some of the seeds today and man they are small small. I noticed a lot of folks are in close to my zone (5) What i need to know is did those who started them start indoors or did they do good starting outdoors? I've got a couple of little sprouts going. It's cool to see them turn from red to green as they grow. What many people don't know is that the seeds from this plant are edible. 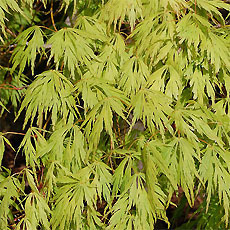 In fact, this plant has been cultivated throughout history for food purposes. What a surprise! A giant stalk that produced amazingly soft 'dread- locks' of rich collor. What a fun plant! It is easy to grow from last years seeds, once you get them collected. The size of a grain of salt and resembles a tiny ball of gelatin. The size of the seeds (1mm) makes this 'Jack- in- the- Bean Stalk' plant even more amzing! I have grown the red Love-lies-Bleeding, the green, and the multi-color. Background: A. caudatus Love-lies-bleeding is a grain originating in South America, where it was also domesticated. An interesting background to read, the leaves and seeds, like others in the Amaranthus genus, are edible and highly nutritious. I got lucky when I chose this as a new gardener and now I don't want to be without it. It is carefree and stops traffic. It is prone to damping off when started indoors. My love-lies-bleeding isn't taking anything lying down. A friend gave me a small seedling (1" tall), which I immediately planted in my front bed. Many things grow poorly there, I think because in the wintertime the salted ice and snow from the road get piled on that flower bed. But this! It's now eight feet tall and has two-foot-long chains of blossoms. Unfortunately, it looks a little silly in a bed of short flowers..! It thrives on the heat of summer in Michigan and gets more and more colorful as the summer season wears on. Requires no care whatsoever after planting. Discovered this curious plant by mistake from a packet of wildflower seeds and became so intrigued by it after it sprouted and flowered that I ordered some seeds from an internet shop. Started the seeds indoors in a plastic starter "greenhouse" kit, coddled the sprouts, fed them, watered them, transplanted them and they all died. Became frustrated at this failure, so I simply poured the remaining seeds in the garden in various spots, scraped some topsoil over them and ignored them. They are sprouting like crazy.....have them all over and can't wait until they flower. I nicknamed them Pink Dreadlocks.They are a great addition and a nice conversation piece. I've since read that they are a member of the Pigweed family, grow wild all over India and are used as a grain. The leaves are ... read morelike Spinach. We harvested them last summer and made a salad out of them. This is a neat plant. Also planted the Joseph's Coat variety, but haven't had any good sprouts yet. I tried this for the first time this year. 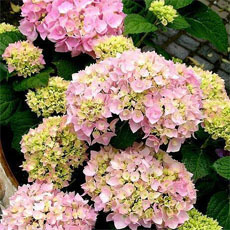 What a great plant for those sun-baked areas of your garden. It is Sept 11 & still going strong. I only started three plants this year but will definitely start more next year. Very pleased with this plant's performance. Grows in Heat Zones 12-1. This is a fast growing plant and can grow from 3 to 5 feet tall. It has a long tassel-shaped flower in shades of red to purple. 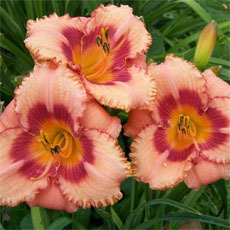 The taller varieties are great for at the back of a bed. 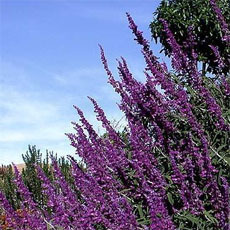 Love-lies-bleeding prefers full sun and dry, well-drained soil. Tall plants may need staking.